SANNIT is the leading manufacturer, exporter and supplier of BARREL PUMP which is mostly used to transfer liquid manually from drum. This Barrel Pump is Compact Light Weight. It can transfer Propylene, Glycol, Glycerine, Iso, Propyl, Alcohol ,etc liquid. 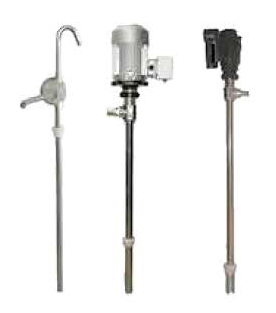 BARREL PUMP can be used in multiple industries. Head : Vertical 3 mtrs.